Dental care is health care. It should be covered by health insurance. There is no doubt that our mouths are an integral part of our bodies. Yet, when it comes to insurance, we for some reason don’t include adult dental care in health insurance, whether it is provided by an employer or the government. As a result, Americans often let dental ailments go untreated until they are so bad that they force us to visit a hospital emergency room, where the care is more expensive and, often, more extreme. Rep. Drew Gattine, D-Westbrook, has introduced a bill that will add adult dental care to the state’s Medicaid program. This would be an important move forward, although important details — such as how the new benefit would be paid for, especially since reimbursement rates must be high enough to ensure that dentists accept the new Medicaid-covered patients — remain to be worked out. A person’s dental health is inextricably linked with overall health, so it’s illogical that medical and dental insurance evolved as separate products throughout the 20th century and that Medicaid, Medicare and the Affordable Care Act largely perpetuated the dichotomy. There’s no reason medical care should apply to every region of the body but the mouth. The Affordable Care Act designates preventive dental care a required benefit for health insurance plans sold on the law’s online marketplaces, but only for children. The federal law also requires that state Medicaid plans cover pediatric, preventive dental care — but no such requirement extends to coverage for adults. That leaves adult dental coverage options inconsistent and dependent on a mix of state policy decisions and state-by-state insurer offerings. 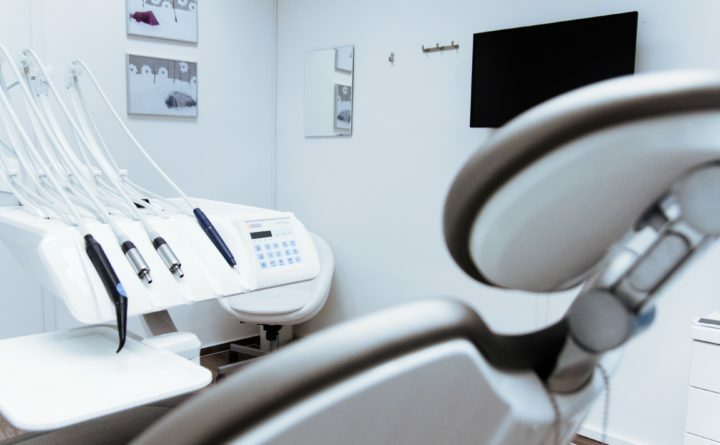 According to the Kaiser Family Foundation, only 15 states offer extensive adult dental coverage through Medicaid (Maine is one of 13 states that cover emergency-only benefits). And state health insurance exchanges offer a patchwork of dental coverage options, often through stand-alone insurance plans that adults must purchase apart from their medical plans and without the help of the federal subsidies that defray the cost of health insurance. As a result, the U.S. Health Resources and Services Administration estimates 108 million Americans lack dental insurance. In Maine, adults with Medicaid can receive coverage only for dental emergencies, such as tooth extractions, which are generally needed only after manageable dental problems have developed into major — and expensive — health issues. Dental problems can have medical roots, and medical problems can have dental origins. Diabetes can contribute to gum disease, for example. Gum disease, in turn, can exacerbate diabetes. Gum disease also is associated with increased risk of stroke and, according to recent research, Alzheimer’s disease. Pregnant women with poor dental health — such as untreated tooth decay and gum disease — are more likely than other mothers to have low birth-weight or premature babies. And at a most basic level, poor dental health can make it difficult for someone to eat a nutritious diet, Dr. Charles Norman, then president of the American Dental Association, told the website MarketWatch in 2014. Researchers have found that adequate, preventive dental care is linked with fewer hospital admissions, and substantially lower medical costs during pregnancy and to treat type 2 diabetes, coronary artery disease and cerebrovascular disease. Preventive dental care, once integrated into the health insurance system, is a benefit that can go a long way toward paying for itself. That’s why including dental care in comprehensive health insurance is long overdue.